Suggesting at the outset that its criticisms mark the fact that the ANC and South Africa have "strayed from Nelson Mandela's legacy," the magazine proceeds to bash the party, citing a recent paper on foreign policy drafted ahead of a key policy conference next month. Entitled "A Better Africa in a Better and Just World," the draft document which provoked the news magazine's ire criticizes what it defines as "Western imperialism," calling on South Africa to pivot away from the US and toward Russia and China. Several points outlined by the paper seemed to hit a nerve with the magazine, from the document's discussion of the unipolar, Western-dominated world order which emerged after the fall of the Berlin Wall, to its commentary on the US's efforts to destabilize China, to its description of the civil war in Ukraine as a 'Washington-directed' maneuver intended to encircle Russia. "The war taking place in Ukraine is not about Ukraine. Its intended target is Russia. As with China, Russia's neighbors are being mobilized to adopt a hostile posture against Moscow, and enticed to join the European Union and NATO. Pro-West satellite states are being cultivated, or as we saw with the coup in Ukraine, even invented, to encircle Russia and allow their territory to be used for the deployment of NATO military hardware faced in the direction of Russia. These Western maneuvers, directed from Washington, are reminiscent of the Cold War." Concerning China and Russia, the document notes that given that "the US does not appreciate the resurgence" of the two powers "as dominant factors in the arena of international power relations," Washington "has instead declared a cold war against these two emerging powers." The ANC paper notes that "as with China, the Russian leadership is constantly being portrayed in the Western media and official discourse as monsters abusing human rights. As with China, demonstrations and marches are being staged and given huge publicity in the Western media in order to destabilized and/or provoke the Russian government. Whatever genuine concerns may exist within the Russian population and the populations of the former Soviet Union, there is a clear plot to exploit this in order to contain the rise of Russia globally. It is an encirclement strategy that seeks to isolate Russia in the manner that is being attempted on China as well." Livid over the document's allegations about "Washington's sponsored destabilization" of countries across the globe, The Economist sternly warns that the ANC risks turning South Africa into "a laughing-stock, not least in Africa itself," suggesting that while Mandela "led his country out of isolation," his successors saw to it that "the country's foreign policy has drifted" from "its previous ideals." The news magazine haughtily suggests that with Europe and the United States remaining some of South Africa's most important trade partners, and providing the continent of Africa with millions in aid, as well security guarantees, the country would be wiser to keep up relations with the West, instead of pivoting toward a new identity among the BRICS group of countries. 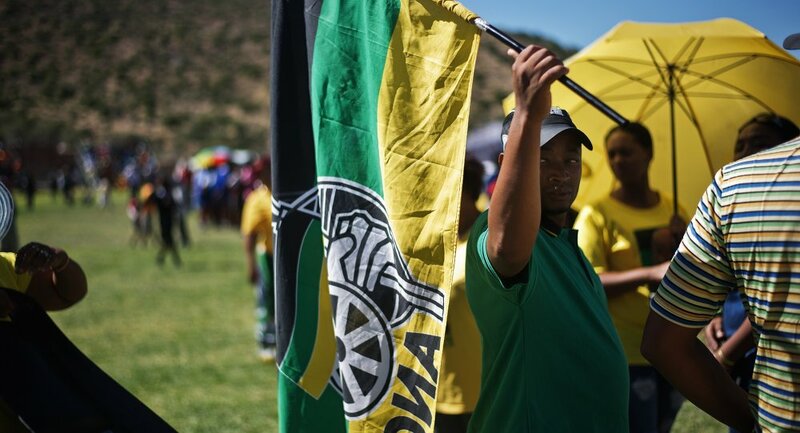 The magazine concludes that "if the ANC now rejects South Africa's liberal friends and throws in its lot with some of the world's nastier regimes, it will be doing Africans a grave disservice." Leaving aside the magazine's fuming rhetoric, it's worth recalling that Mandela and the ANC had always been opposed to Western imperialism, and have, throughout the movement's history, consistently supported what was long considered to be the progressive alternative to Western hegemony, finding it, throughout the late 20th century, in the Soviet Union and China. In this light, the ANC's policy paper is not so much a case of the party 'straying' from Mandela's principles, as it is a case of The Economist forgetting what those principles actually are. The full text of "A Better Africa in a Better and Just World," can be found here.